This past October, amidst fear-based cries from all sides as to why I shouldn't, I left for Egypt for 10 days with one of my favorite travel partners. 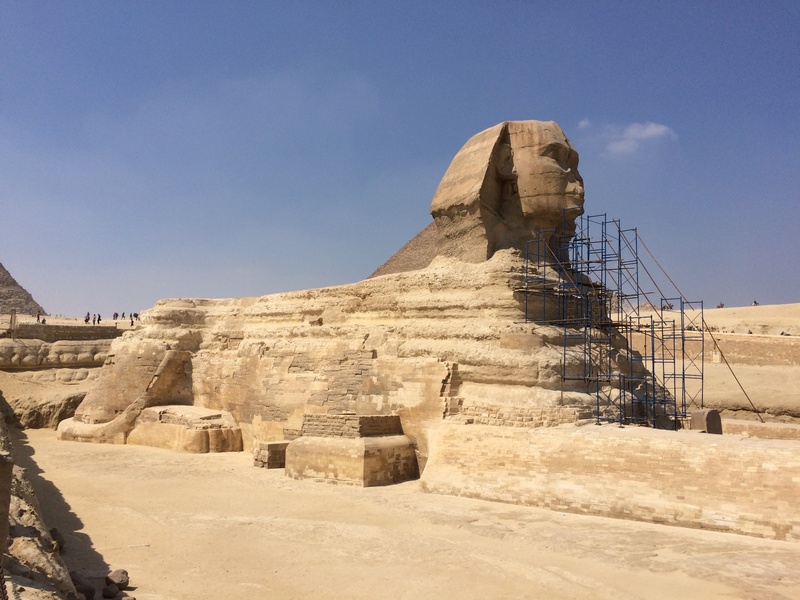 The itinerary was just what you would expect: Cairo and the Pyramids, a trip down the Nile, Luxor and its environs; a trip of one fabulous, mind-boggling ruin after another. I expected to be wowed by the ruins, I hoped to enjoy the food, and I anticipated having great weather. All true. What I didn't expect, or even consider before leaving, was the Egyptian people themselves. Warm, educated, and hospitable, in every corner of every destination, the Egyptian people were welcoming, reasonable and gracious. 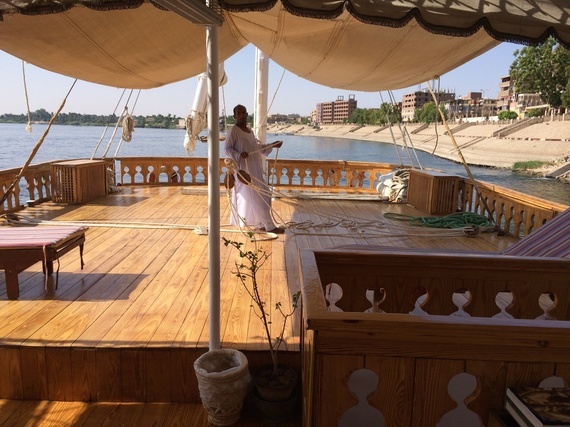 To be sure, we walked a privileged existence while in Egypt, staying at glorious hotels (Kempinski and Al-Moudira) and on a sumptuous boat specifically used for the Nile (Dahabiyya). But we didn't do everything high end. We often ate at everyday type places because we wanted a sense for street food, although we did treat ourselves at Sofra Restaurant in Luxor. Sphynx at Giza with no one in sight. We also took the subway and taxis and walked every bit of Cairo on foot, including the Al-Qarafa slum built around the Northern Cemetery, just like we do in every major city we visit. In fact, it was our third day in Cairo, walking through Al-Qarafa, that I realized what a special, special people the Egyptians are. Clearly out of our element, people exited their makeshift homes to welcome us to their neighborhood. This kind of hospitality happened again and again. An Egyptian would share with you his last meal on this deathbed because being hospitable carries such honor. Unfortunately for Egypt, due to the fear caused by upheaval in other Middle Eastern countries, tourism has fallen off dramatically and the economy has tanked. The Egyptian people are suffering dearly for it. When I asked about the biggest concerns for their country, all the Egyptians I encountered said jobs, not politics or religion. In my experience, at every ruin, temple or tomb, there were throngs of well-educated, knowledgeable and hardworking people -- people who had lost their jobs in government, university and the travel industry -- willing to share their vast knowledge of the sites and Egypt's history for 30 percent of what they used to be paid. 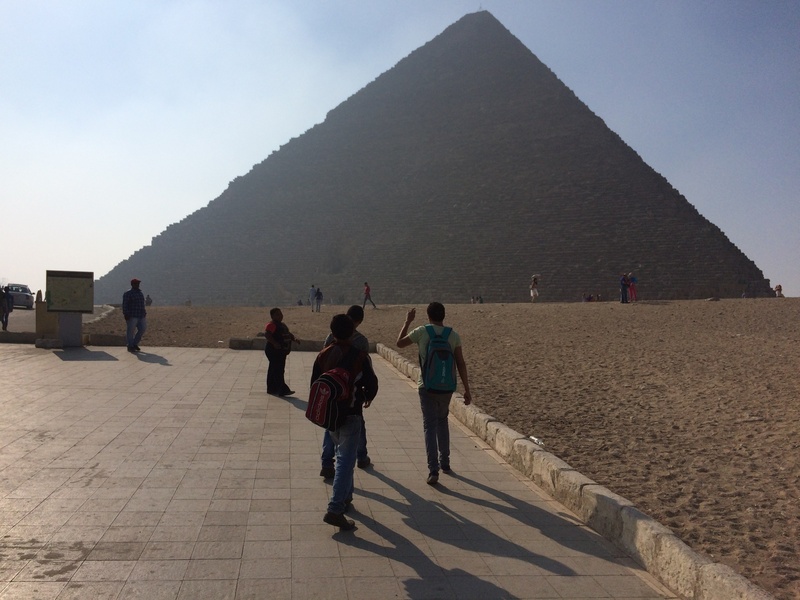 Pyramids at Giza, empty except for a few school children. In one restaurant, the owner -- who pulled up a chair to smoke a hookah and chat -- explained that the garbage from his restaurant fed both a large family and some college students, and that people were vying and in line for his garbage. We took a taxi by a man who in no uncertain terms could only be called a great, or great, great grandfather, and was still working because he had to. The lack of tourism is crushing down on a country that depends on it for survival and it was heartbreaking to experience. The flipside to this, of course, is great for the visitor. There were almost no tourists everywhere we visted, and we hit the biggies: the Cairo Pyramids at Giza, Valley of the Kings, the Egyptian Museum. The whole 10 days we saw only one American couple. There were a few French, and a few more Dutch (oh, those levelheaded Dutch! ), but there were practically no tourists. If you can believe it, on our small, elegant Dahabiyya, a boat that sleeps 12, we sailed alone up the Nile. Wanting the business, the proprietor let the boat sail at a deficit, just to keep people working. At the Valley of the Kings, we were often alone in many of the crypts and at the Pyramids, there were mostly Egyptian kids goofing around on a day off school. The result was an incredibly precious experience of history and the ruins, which would have most certainly been dashed had there been gobs of annoying tourists. If there were ever a time to get up close and personal with the beginning of civilization as only seen in Egypt, it is now while it is still safe and empty. A friendly hookah in Old Cairo. One would think that the economic situation would have made people beg, but they didn't. They offered us private tours of the ruins and wanted to be hired, but no one begged. In fact, we were incredibly lucky with some outstanding guides, so much better educated than the job demanded, just pouring over us with history, facts and cultural tidbits. The only time people did ask something of us was when teenagers wanted to take pictures with us to show their friends on their phones. Seemingly, a picture with a Westerner is something of a celebrity sighting, making our time there only that more endearing. And no, I never, ever felt unsafe. While the government situation could be considered unstable, how is this different than many other places around the world? The people were seemingly in harmony across all religions, as Christians and Jews do live in Cairo, albeit fewer of them. At the time we visited, there were some student demonstrations and some very undemocratic and random arrests, jailing many of them. Also during the time we were there, there had been shootings on the south side of Chicago, my city, and I wouldn't tell people not to visit Chicago. In fact, Chicago is a lovely city and I hope you visit. And there is no better time to visit Egypt than now. On the deck of our Dahabiyya. In short, for all the warnings that I would be in danger, that Egyptians don't like Americans and that I would be a target by doing the tried and true tourist attractions, it just wasn't true. Egypt, relatively speaking, is removed from the troubled areas of the Middle East and I found it to be calm and safe. Below is the itinerary as put together by my travel partner, who really nailed the beauty and essence of Egypt is our short time period. We have tried to list as many of the places, contacts and websites from the 10-day trip as possible below. If you do visit or have been to Egypt recently and have any comments and pictures, feel free to share. 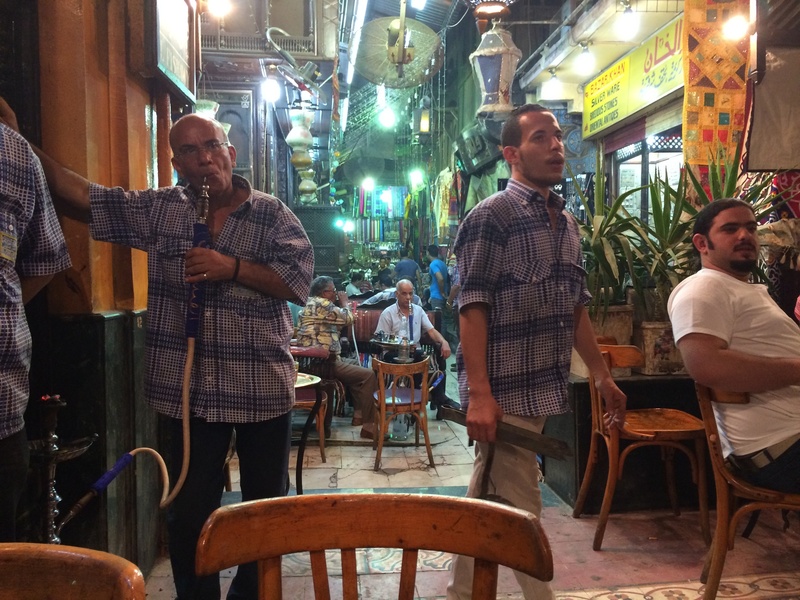 Day 2: Walk from our stellar hotel Kempinski Nile in Garden City through the big city markets arriving at Old Islamic Cairo and the Khan el Khalili market, stopping for food in small cafes, and tea and hookah. We decide against eating stuffed pigeon. Day 3: Pyramids at Giza with Abdel Sattar Abdel Kader (mobile: 002-0100 39 619 91) who was a wealth of knowledge, and has some great stories about regular life in Cairo. Visit the Citadel of Salah Al-Din and take lots of pictures with teenagers. Visit Al-Qarafa/The Northern Cemetery-turned-town across the highway, realizing that these people are nothing but warm and gracious. Day 4: Visit the Egyptian Museum. Walk across the Nile to a more residential part of town, Zamalek, for a great lunch (Five Bells) and wander back amidst all the holiday partying along the Nile. Day 5: Fly to Aswan. Met by the great Abdulla Yosef. Visited Philae Temple and the Aswan Dam before boarding our Dahahbiyya, the Zekrayaat boat, when we realize that we will be alone on a boat meant for 12. This boat is run by Ayman Simman, Djed Travel. 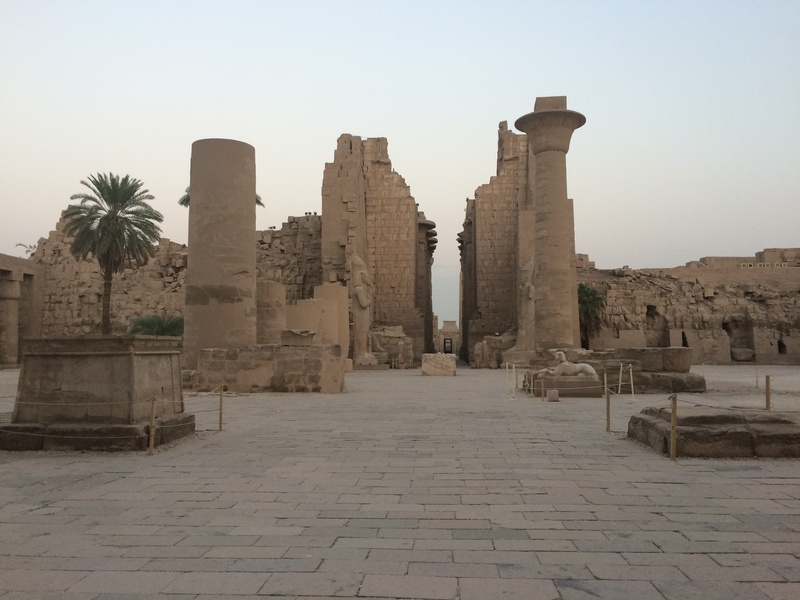 After cruising up the Nile a bit, we visit Habu Temple -- where we are alone again! -- and the Temple of Kom Ombo. We now realize we have the greatest guide and the greatest gig. Day 6: Continue up the Nile with great food, guides and service, visiting an old quarry, Gebel Silsila Tomb, Edfu Temple, and the Temple of Horemheb, then breaking for tea and a swim in the Nile in between. Spend incredible romantic night alone on the Nile under a full moon. Day 7: Visit the Temple of Horus and El-Kab Tomb and arrive at dusk at the town of Esna with the call of prayer echo into the night. Visit the local market. Day 8: Visit Esna Temple and make our way to Luxor, visiting the Temple of Hatshepsut and Colossi Memnon, and the Valley of the Kings: King Ramses IX, Ramses IV, Nobels Tomb and Sen Nefer Tomb. Settle in at the glorious Al-Moudira. Day 9: Sleep in and lounge by the pool. Then, heading out on our own, we visit Karnak, falling upon the walking encyclopedia Mohamed M. Abdelraheem, a graduate of Cairo University's Egyptology Department, who knew something about every grain of sand at Karnak. As dusk fell on this beauty, we stop for tea and hookah in the local market, speaking with Osama Abd El Ghany . We then visit Luxor Temple, briefly at night, in pristine glory and falling upon a Christian guide named Gabrielle. 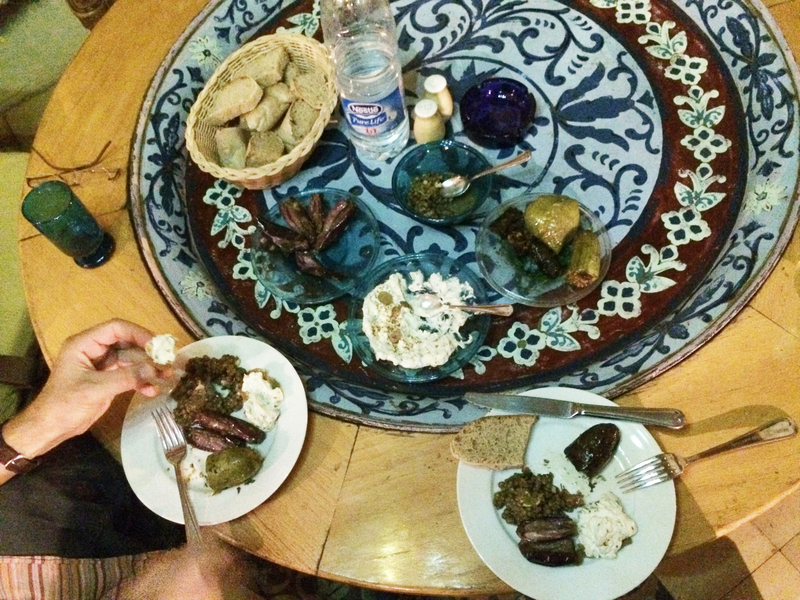 We ate at the superb Sofra Restaruant and hopped on the overnight train to Cairo. Day 9: Cairo, back at our phenomenal hotel Kempinski Nile. We intend on a day of rest and relaxation at the hotel pool followed by an evening of discovering Cairo's night-time downtown cafes, but end up spending it with the hotel doctor for a slight throat infection. Maybe swimming in the Nile wasn't the brightest idea? Day 10: Fly Cairo to Istanbul, Istanbul to Chicago. Enjoying several dishes at Sofra Restaurant with more on the way!